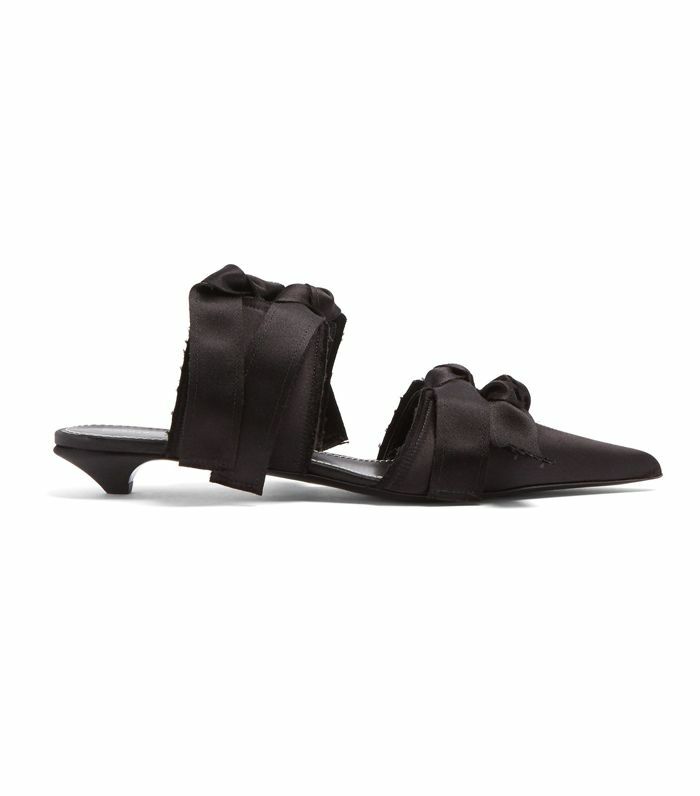 Most of the most talked-about shoes recently all have the same detail—bows, bows and more bows. Balenciaga's green pointed satin knife mules had a neat little bow on the front, and Dior's cult kitten heels had "J'Adore Dior" ribbons tied into bows. If you're into this trend, everywhere from The Row to Mango has mules, boots and flats adorned with bows that go from the subtle to the ridiculously OTT. Prada has a number of beautiful Minnie Mouse–esque versions, and we also love the & Other Stories slingbacks and Zara flats, which are only £30. Scroll below to shop our edit of the best nine shoes with bow details. These look so much more expensive than £36. A subtle bow at the ankle. Aren't these one of the most beautiful shoes you've ever seen? We think so. A simple update on a classic sandal. Opening image: We Are the People Style; Lisa Aiken.